Romanian orphans became world wide news 25 years ago after the Romania revolution. Izidor Ruckel is one of those abandoned children who was adopted and created a life of advocacy to help other orphans left behind. 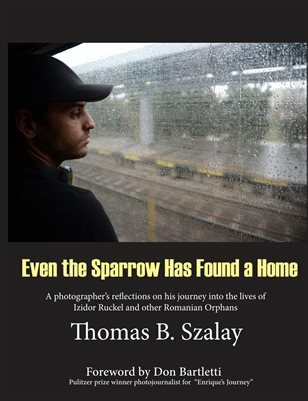 This book by photographer Thomas Szalay's explores the past and present conditions of some of the orphans he helped bring to America. HIs initial photo essays and work with ABC's 20/20 new program were published 1992.